Life’s busy, and good intentions to cook can crumble after a long day, so Gousto make home cooking simple. They deliver a recipe box with everything you need: foolproof recipes plus fresh, perfectly measured ingredients. Less shopping hassle, more time to share a delicious meal with those you love. 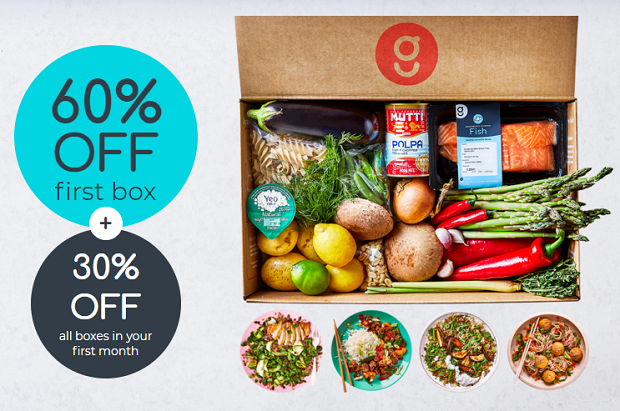 We've teamed up with them to offer you a brilliant voucher code entitling you to a 60% discount on your first recipe box and 30% off any boxes thereafter(within your first month of subscription). When you sign up, you'll get access to over 30 new recipes a week (some extra quick), and quality ingredients: 100% British meat, fresh veg and more. Get a box weekly, fortnightly or monthly, delivered any day of the week with a flexible subscription. Or simply order when you like. Having a few meals ready to cook makes life much easier. To claim your discount simple head to Gousto now and your discount will be applied automatically, or use the coupon code LIST60M at the checkout. One discount code per customer. Offer valid for new customers only. 30% off only valid for deliveries expected within the first month. Check Gousto for full T&Cs of this offer.